Invitation in the Newsletter section - mark the date! CTI is closed on Friday, March 8, 2019, in celebration of Teachers' Day. There will be special events at school the previous day! Enjoy a well-deserved break students! CTI is closed on Thursday, February 14, 2019, in memory of the death of Prime Minister Rafic Hariri. Classes and exams resume on Friday, February 15, 2019. Schedule pushed one day. Students are to check their inbox. Best wishes for a Merry Christmas and a blessed New Year! Tuesday, November 20, 2018. Classes resume on Wednesday. Independence Day becomes an Independence week at CTI with many activities planned. Stay tuned! Football Jr and Basketball Jr have started! Welcome to another school year at CTI! Click for a souvenir picture! Grade 12 LS: 100% passing rate! Grade 12 GS: 100% passing rate! Grade 12 SE: 100% passing rate! Brevet students: 100% passing rate! Grand graduation ceremony for grade 12! Best wishes for a pleasant summer vacation! Parents may pick up the final results for the students of kindergarten classes on Tuesday, July 3, 2018. Check the Newsletter and Gallery! 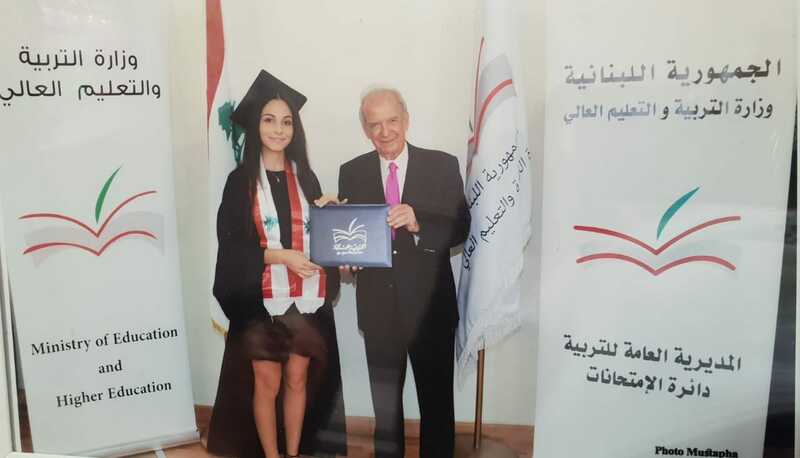 The students of grade 12 graduated in a lavish ceremony, with Mrs May el Khalil as keynote speaker. Congratulations! Congratulations to grade 12 LS and GS students, their parents and their teachers! Congratulations, students, parents and teachers! Check our newsletter for details! Every student in the GS and LS sections has passed the official exams at CTI. Congratulations to the students, their parents and the teachers! Check our newsletter section for more information. Congratulations to all the CTI students of grade 9 A and B. Every single student passed the official exams, with many ratings of "good" and "very good". Check our newsletter for more information.